Uncovering the best chiropractic treatments is often times a tricky task involving a complete health assessment. Rixen Chiropractic's team of professionals take extra precautions to ensure your wellness goals are properly addressed and treated. Learn about some of our services and treatment options by reviewing the information below. Physiotherapy modalities and electrotherapy are commonly used in the treatment of many patients experiencing back, neck, arthritis and other musculoskeletal problems. 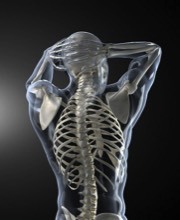 In order to properly address our patients' ailments, Rixen Chiropractic utilizes the latest chiropractic techniques and technology to determine the most effective therapeutic procedures for your unique condition. Muscle stimulation therapy administers low volt electrical pulses to specific areas of the body in order to stimulate motor nerves to cause muscle contractions, pain relief and/or to reduce inflammation. Electrical muscle stimulation is often used to prevent or reduce muscle atrophy. A Transcutaneous Electrical Nerve Stimulator, more commonly referred to as a TENS unit, is a small, battery-powered, portable muscle and nerve stimulation machine that can be used at home to help control pain. A TENS unit is often times recommended to assist in reducing neuropathic pain, but is not suggested for those with chronic pain. Ultrasound therapy uses high energy sound waves to reduce muscles and joint pain. When these high energy sound waves are released from the head of an ultrasound machine and applied to soft tissues and joints, they facilitate increased blood flow and decreased swelling, pain, stiffness and spasms. Depending upon the severity of your condition, both ice and heat can reduce pain or the inflammation of injured muscles and nerves. Cold therapy is often the best immediate treatment for recent injuries. It helps reduce swelling and control pain immediately. Unlike cold therapy, heat therapy is generally used for those with chronic pain from previous injuries. Heat therapy not only reduces the patients' pain, but it also relaxes the sore, stiff muscles and/or joints and increases circulation. Rixen Chiropractic was established by Dr Dan Rixen Located in El Sobrante, Ca, Dr Dan has been serving the community for over 15 years.